I can’t believe we are over halfway through the CAL! I hope everyone has been enjoying the CAL. This summer has been flying by, and with some pretty nice weather in my area. I have been so busy with graduation, a special visit from my sister and niece, and planning and throwing a baby shower, not to mention a little hand issue that has kept me from crocheting. I promise that I will get the June and July patterns posted on Ravelry soon. 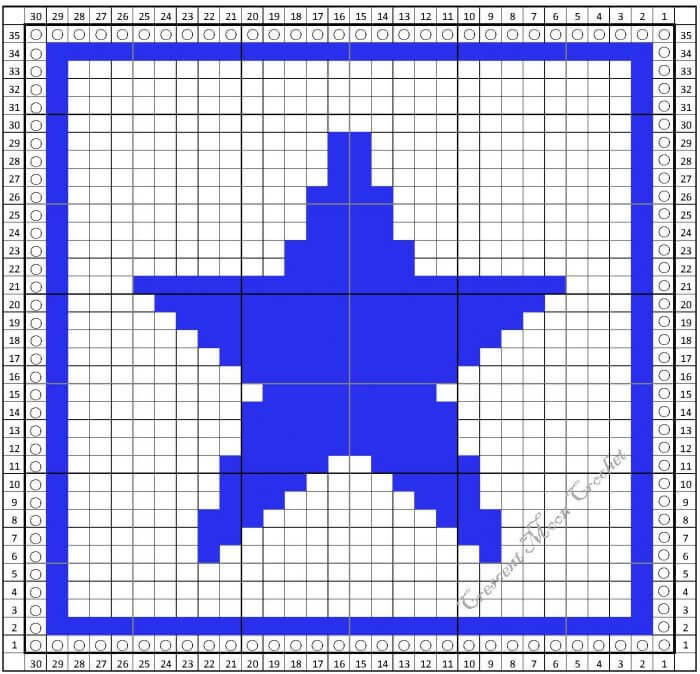 The Fourth of July is almost here, and this month’s pattern is perfect for crocheting in the hot weather of July. Working with cotton during the summer is great because it stands up to water and is lighter than wool. Take your yarn and hook to the pool and you can have this done in between dips to cool off! Enjoy this month’s pattern and I hope everyone has a safe and sparkly holiday! Click here for more free Tunisian Crochet Dishcloth Patterns. And don’t forget to share your finished dishcloths in the P2P Ravelry group, Facebook group, or on social media with the hashtag #P2PdishclothCAL so we can all see each other’s projects.